What is Our Lady Queen of Peace School’s guiding statement and philosophy? What are the top-three things that families love about QP? Does QP have a four-year kindergarten and after-school care? How many students are in the school? How many in each classroom? How many teachers does QP have? What academic results show the success of the rigorous QP curriculum? Do QP students wear uniforms? What about lunch – is there hot lunch? Is there parking? Is busing available? Does a family have to be Catholic in order for the children to attend QP School? Our Lady Queen of Peace sounds like a place we want to consider. What are our next steps? What is tuition at Queen of Peace? Is a parishioner contribution required for parish member families? Our motto is Love in Every Word. Respect in Every Action. Confidence in Every Heart. QP’s philosophy of learning begins: Children are a gift of God, given to us temporarily to love and teach. They are intrinsically good, eager to learn and have unique talents. Learn more about QP School. A strong faith foundation - Our motto (see above) permeates the school as we live out the core values of the Gospel. Students participate in morning prayer, daily scripture reading, regular school Liturgies, and many, many opportunities to build a habit of service. Enriched academic excellence – A rigorous curriculum builds a foundation of academic success, and students average above 96th percentile on Iowa Basics, learn through current technologies, and enjoy enriching subjects. More on curriculum is available on our Curriculum page. 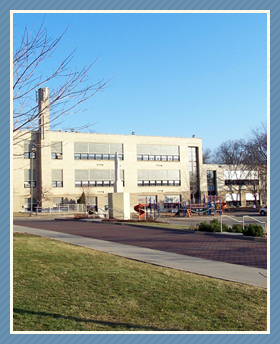 As important as academic challenge is a philosophy of teaching the whole child by including supports for emotional, spiritual, physical development; QP offers full-time guidance counselors, a student services team – including a reading specialist – that can help with learning style differences; "Faith Friends" mentoring between our youngest students and our oldest students; and leadership building student teams for service. Optional after-school activities offered – like intramural sports, enrichment classes and clubs, and more service opportunities – also support this philosophy. Learn more at our Student Life page. Unsurpassed community strength – As an integral part of Our Lady Queen of Peace Parish, QP School benefits from the vibrant opportunities the parish offers, as well as from many school-sponsored community events. From the Parish Festival and Catholic Multicultural Center to Community Dinners and the Fun Run, the Queen of Peace community offers a great number of ways for school families to engage in parish and community life. Learn more at our Parish Community Enrichment and Social Action pages and the School & Family Association page. In curriculum areas, we build a strong foundation for future academic success. Technology: QP uses up-to-date, 21st Century Learning and teaching as we strive to balance our most valued traditions with strategies for students to thrive in today’s world. Teachers infuse technology into the classroom, all students grades 6-8 have an iPad with evening and weekend access (1:1 iPad program), and students grades 1-5 can use them during the school day. Students use technology to enhance learning and critically engage in global communication. Spaces facilitate students’ sharing information, working together in teams, small- and large-group instruction, and access to multimedia tools. These tools also include mobile iPad and Chromebook carts, touch-boards and Apple TV in every room, and scheduled computer time in an updated computer lab and library media center. All of these begin to transform learning from lecture to collaboration. Enriching Curriculum: All QP students receive music, physical, health, Spanish language, computer, and art education. In addition, QP offers high school level Algebra, Geometry, and Algebra 2. Our Fine Arts department includes a highly rated band program for grades 5-8, a spring musical production for grades 6-8, and technology programming classes for grades 7-8. Our 8th graders participate in electives including Conversational Spanish, 3-D printing, Science Exploration, and Makerbot class. In addition, we offer a variety of after-school enrichment for grades K-8 (cost varies depending on the program) including, art, drama, photography, engineering, forensics, and Math and Strategic Games clubs. We offer K4 in 5-day and 3-day a week options. After-school is for grades 4K – grade 5, 5-days per week. There are usually between 450 and 475 students in the school, grades K4-8, with a maximum of 20 per 4K homeroom, (nine for part time homeroom), 18 in 5K and 27 in grades 1-8. QP has two classrooms for each grade, and three for 4K and 5K. There are 33 full-time teachers, seven teacher’s aides. Full-time aides and support staff allow for consistent small group instruction while helping classroom teachers meet the needs of all students. QP also employs two full-time religious educators, two guidance counselors, a media resource technologies teacher, after-school staff, a reading specialist, and a full-time school nurse, all at tuition less than $22 per school day! The Student Services Team at QP consists of a guidance counselor, a student service specialist, a full-time nurse, a reading specialist, and six paid aides, with support from administration. The school average on the Iowa Test of Basic Skills is 96%. Over 80% of Queen of Peace graduates consistently achieve honor roll status in high school. Many of the students test into advanced math and/or Spanish classes as freshmen, and/or take AP classes during their high school years. They do not. There is a dress code summed up by the introduction, "In keeping with our Christian values, modesty should be observed at all times so please refrain from tight or revealing clothing." Yes, daily, with salad and soup bar. You will find our lunch menus and additional information on our Lunch page. QP has a large parking lot, street parking on both sides, and busing is available at certain distances from school and certain portions of the west side. Call (608) 231.4580 for details. We welcome students of all faiths to QP. Please note that, because parish member families also contribute to the church, they pay a lower tuition than non-parish member families. QP School’s Education Commission advises principals and parish on current and future needs. The School & Family Association builds community and raises funds for enrichment through family/parent events. The wellness committee volunteers to expose children to healthy diet and exercise options. All families are asked to volunteer for at least one 1-2 hour shift at two events per year. Parents who are able to share more of their time do so. We’re glad you think so! Please call (608) 231.4580 to make an appointment to tour the school. Feel free to peruse more of our website. If you are Catholic, attend Mass at the parish if you have not yet – weekend Masses are 5:00 and 7:00 p.m. on Saturday and 8:00, 9:30, and 11:15 a.m. on Sunday. For K4 students, the cost is $3,950 for three days a week or $4,650 for five days per week. For parishioners, K-8 per child tuition is $3,800. For non-parishioners, K-8 per child tuition is $7,200 per child, which is the actual cost to educate each child. Please view this tuition information to learn more. Yes, we ask that each parish-member family base their annual parish support on their income, demands on their income, values, faith, and prayer. We ask each family to contribute a minimum of $1,850 to the parish.